An early-morning fitness club using IHT ZONE wrist heart rate monitors helps elementary students stay on task throughout the day. Originally published Feb. 17, 2019 in the Sioux City Journal. Have you ever wanted to have the stamina of Deadpool and the agility of Spider-Man? Physical education instructor Corey Loffswold is leading a gymnasium full of fourth-grade Black Panther and Wonder Woman wannabes through the paces at Liberty Elementary School. Originally published Feb. 4, 2019 in DailyTrib.com. The girls streamed into Marble Falls Middle School teacher Trenton DeSpain’s classroom, bringing with them all of the worries seventh-graders carry, some more serious than others. How can physical activity help a child do better in school? Originally published Nov. 5, 2018 by BBC Sport. Did you know that children are expected to achieve 60 minutes of health-enhancing physical activity every day, 30 minutes of which should occur during school? Originally published June 23, 2018 by WRVO Public Media. 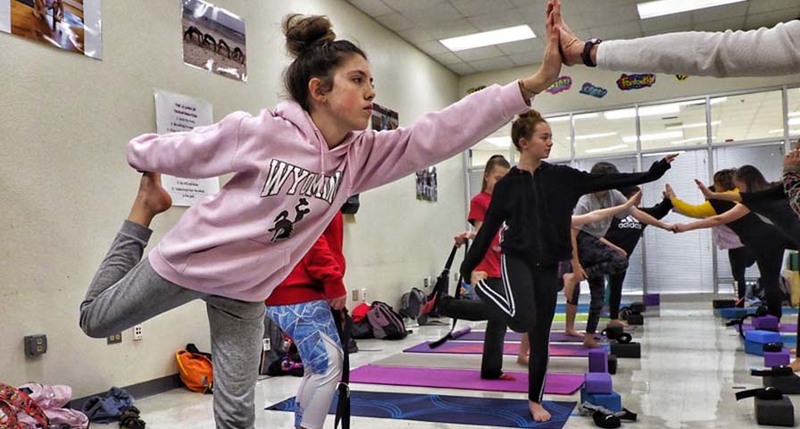 With the demand for schools to focus more on academics and less on gym class, many districts in the U.S. have cut back students’ physical education times or eliminated them completely. However, an author and authority on the connection between brain activity and fitness said the two goals of fitness and academic success are not mutually exclusive.